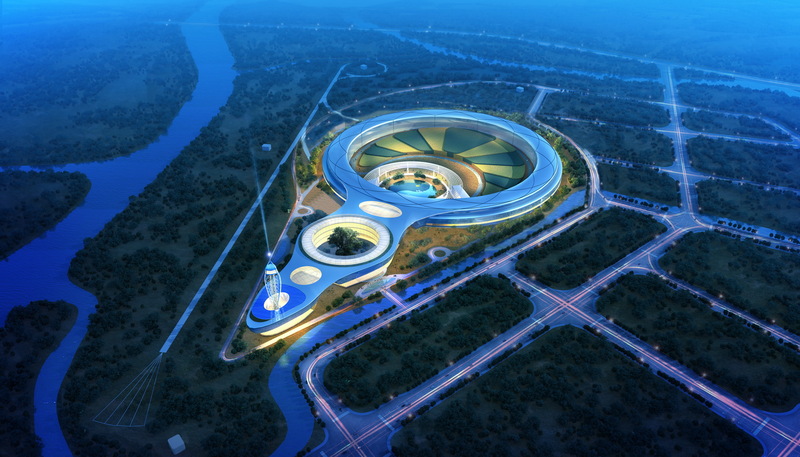 High Energy Photon Source (HEPS), an ultra-low emittance ring-based synchrotron radiation facility, is expected to be built in Beijing's northern suburb. The construction of this project has got the approval of China's National Development and Reform Commission (NDRC), the country's top economic planner on December 15th, 2017. Proposed in 2008, the High Energy Photon Source (HEPS) is designed as an ultra-low emittance ring-based synchrotron radiation light source with a beam energy of 6 GeV. Fourteen beamlines will be constructed in Phase I of the project. HEPS will be built in Huairou District in suburban Beijing as one of the core facilities in Huairou Science City. It is estimated that the facility will take six and a half years to build. HEPS will serve as a platform to promote multi-disciplinary R&D in the fields of materials science, chemical engineering science, energy and environment science, and biomedicine. It will allow China to join the elite group of countries with high energy synchrotron radiation light sources, and provide strong support for research fields related to the country’s domestic needs. This will hopefully lead to revolutionary innovation in various industries. The Test Facility of HEPS, the first R&D phase before the construction of the facility, was launched at IHEP in early 2016 and is scheduled for completion in late 2018. A study team led by Prof. ZHANG Weijun at Anhui Institute of Optics and Fine Mechanics (AIOFM), Hefei Institute of Physical Science, has made a new progress in the dissociation dynamics of state-selected CH3F+ ions.